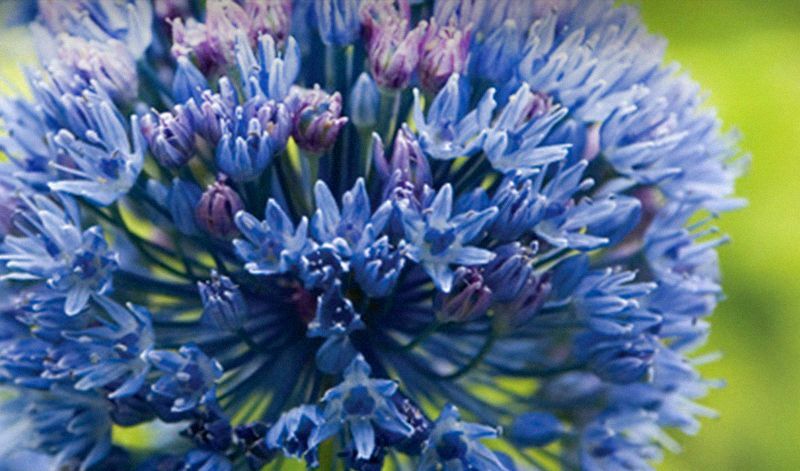 Produces nice dense clusters of bright blue flowerheads that are approx. 1" (3 cm) in diameter. Its leaves clasp its stem and die back before flowering so do combine them with low-growing perennials. After they have finished blooming let the foliage die back naturally (to build up energy reserves within the bulb) and only remove the dead foliage once it has completely separated from the bulbs. You can either deadhead the finished blooms or allow them to dry and let the seeds be blown to other parts of your garden. Eventually they too will produce new alliums. Leave the bulbs in the ground and fertilize them with bonemeal, bulb booster or 10-10-20 early every Spring when the foliage begins to emerge again. Divide and replant them early Fall after they become overcrowded (and flowering diminishes) after 8-10 years.